Alkaline batteries are prone to leaking potassium hydroxide. Even if there is no draw on them, they will eventually leak. The above Rubicon Wheatstone Bridge was ruined because the user sought to install alkaline batteries. The unit was then stored for a long period of time in some basement where the batteries leaked out all over the place. The exposure to moisture as well as potassium hydroxide caused the fragile wire in the precision wire-wound resisters to corrode causing the instrument to go way out of spec as well as some resistors going completely open. With the cost of 46 replacement calibration certified precision resistors costing an average of $140 each, the $6,440 cost for resistors and the cost of fixing, cleaning and lubricating this device relegates it to the scrap heap. Over the years, I’ve taken the cover off of a number of old pieces of battery powered electronic test equipment that contained really old C or D sized dry cell batteries. In every case, I was surprised that there was no leakage. In fact, all of these batteries still had a charge on them. 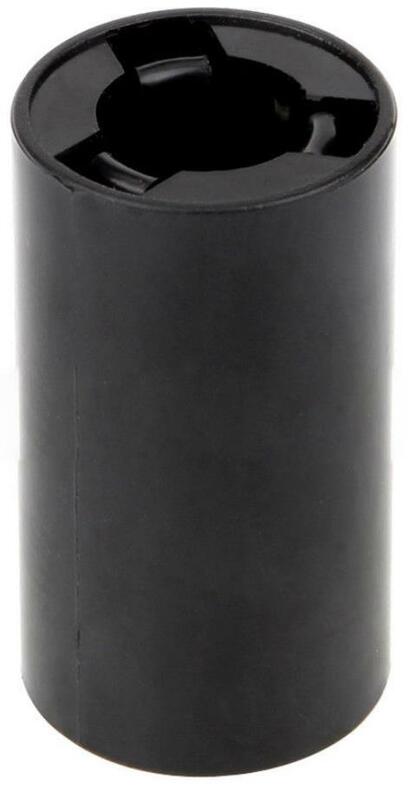 There were a number of them with the Ma Bell logo, i.e., Bell System Dry Cell Battery KS 6522. 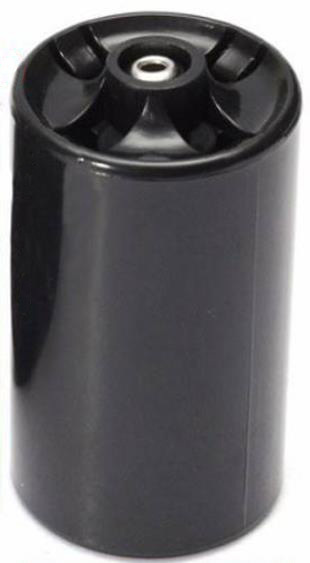 Other high quality dry cell batteries included RCA, Burgess, Eveready and Ray-O-Vac. None of these leaked for ten or more years. The Bell System dry cells were well over 50 years old. However, this is not the case when it comes to the ubiquitous alkaline batteries. 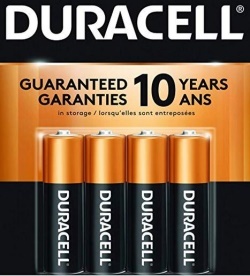 Even the Duracell 10 year alkaline batteries leak in less than 5 years. Imagine if you would, a really expensive Maglite flashlight you had for years, all your TV remotes, or – worse, your exceedingly costly portable oscilloscope. You’ve most likely seen what happens when alkaline batteries are left installed in these devices for – too long. It’s devastating. But, how long is too long? So, what the hell causes these batteries to leak out all over the place forming this crusty mess and damaging the equipment? Consumer Reports says an alkaline battery could be thought of as a tiny fuel can built to contain a chemical reaction. As the elements in the can interact while generating power as they are being used or not generating power but just discharging by themselves, the liquid electrolyte breaks down, releasing hydrogen gas – a gas that naturally creates pressure. Then the pressure eventually and inevitably ruptures the seals and causes a leak. Once these seals at one or both ends of the battery have been breached, the hydrogen escapes. Then the toxic and corrosive liquid electrolyte, in this case, potassium hydroxide is forced out by the escaping gas. Finally when the potassium hydroxide reaches the open air, it reacts with carbon dioxide to form potassium carbonate. This is the white crystalline substance that forms on the outside of the battery as well as everywhere else including the electrical contacts and the surrounding circuitry. When this occurs, the vapors can also cause additional corrosion on delicate meter movements, contact surfaces and electronic components, causing them to go out of spec, shortening their life, hence knocking the instrument out of calibration. So, what can we do about this? Replace with lithium. There is currently no direct substitution for C and D batteries. 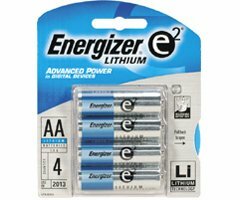 AA and AAA alkaline batteries can be replaced with non-rechargeable lithium e2 cells. As for C and D batteries, most of the older test-gear used dry cell type led-acid or mercury batteries. This equipment can be easily retrofitted to accept AA lithium e2 cells by the use of an adapter for each cell. The C and D type lead-acid dry cell batteries originally used in this equipment had a lower amp-hour rating than that of the new AA lithium e2 cells. The reason lithium batteries should be used instead of lithium ion batteries is that lithium batteries have a very long shelf life. Also, most equipment does not have the provisions for charging rechargeable batteries. It is for that reason they originally used C and D batteries in the test apparatus for long life. Most older pieces of test equipment like VTVMs, and bridges drew very little current. They simply designed in the use of dry cells so the equipment would be ready for use on a moment’s notice. Note about the cost of lithium batteries. As of this writing, a lithium AA cell costs about $1.28 where as an alkaline battery costs $.51. Yes, lithium is 2.5 times the cost of alkaline. But alkalines will inevitably leak. The cost of having to repair or replace that highly expensive piece of test equipment significantly outweighs the cost of lithium. Plus lithium has a much greater shelf life than alkaline. So, get a box of lithium batteries for your test gear as well as your remote controls and whatever else is subject to those stupid alkaline batteries. RCA Voltohmyst WV-98C with Original Factory Installed Battery. Note about VTVMs similar to the Senior Voltohmyst that have solder-in batteries. Apparently RCA felt the need to solder in the batteries to reduce the possibility of resistance forming at the battery terminals of slip-in holders. However, there doesn’t seem to be any lithium batteries with solder tabs. I made my own spring loaded battery contacts on which I used electrical contact grease.